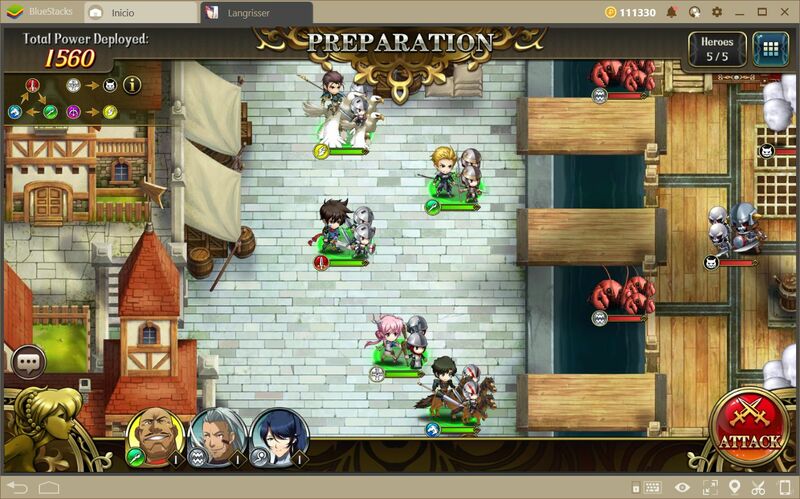 It’s not difficult to find that, in strategy games such as Langrisser, you are forced to choose between many different characters to create a feasible team. In the late stages of the game, above all else, it won’t be enough to simply choose your strongest characters to overcome the challenges that the game will throw at you. On the contrary, relying on brute force or high attributes will not be enough to eliminate your enemies. Furthermore, the most advanced levels in the game will usually have many obstacles and opponents that you’ll need to defeat if you wish to claim the victory. 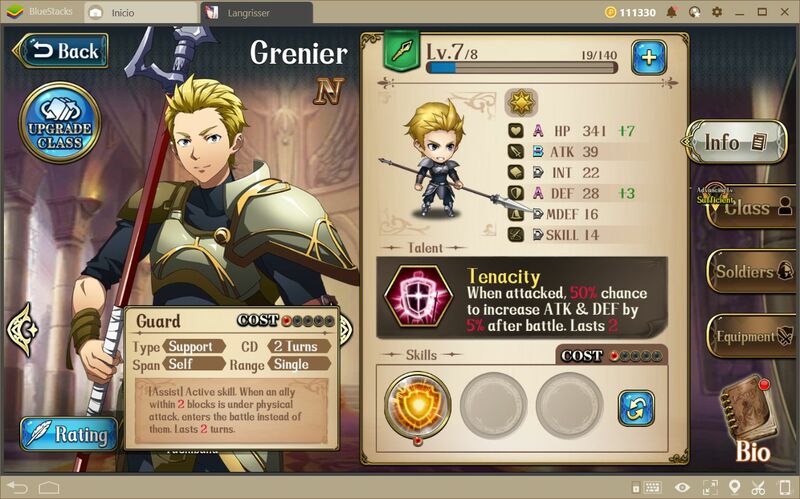 In our guide about the fundamentals of combat, we mentioned two important elements in any fight: the priority system, and the different types of terrains that you’ll find in Langrisser. While the former is vital to increase your offensive power and to eliminate enemies in one blow, the latter is essential for the times when you want to play defensively and engage in advanced strategies. In any case, they are both important aspects of the combat in Langrisser, and you must always use them wisely whenever you want to establish a battle plan. However, despite the significance of these elements, they are not the only aspects that you must consider when looking to create a team for a specific scenario. In fact, some of the most important aspects—which we’re going to discuss in this article—is the synergy between the units in your team and the interactions and buffs that each of them receives when you create optimized squads. Let’s explore more! DPS: Units that, due to their high attack attributes and exclusive skillsets, can deal great harm to their enemies, both individual as well as in AoE. In this game, DPS units can also absorb a lot of damage thanks to the aforementioned priority system. Nevertheless, their skills are oriented towards offense and attack, for which they tend to falter against enemies that hold a type advantage over them. Tanks: The only difference that these units have over their DPS counterparts are their skills. Tanks have the capacity to both deal and absorb a ton of damage. However, their talents and skills are focused on resisting damage or covering their allies rather than attacking their enemies. However, some of the best tanks in the game often have talents that can help convert some of their defense into attack, which allows them increased offensive capabilities at par with some DPS units. In this sense, some of these units can grow stronger as their defense increases. Healers: The weakest units in the game in terms of attack. However, thanks to the priority system, they are able to decimate demonic enemies. Additionally, the most important aspect of these characters, as their title implies, is the ability to heal and buff their allies, as well as to debilitate their enemies, which earns them a rightful place in any team composition. It’s important to note that, in contrast to other games, unit roles in Langrisser are not explicit. In other words, you won’t find any text nor indicators that suggest a unit belongs to a certain class. 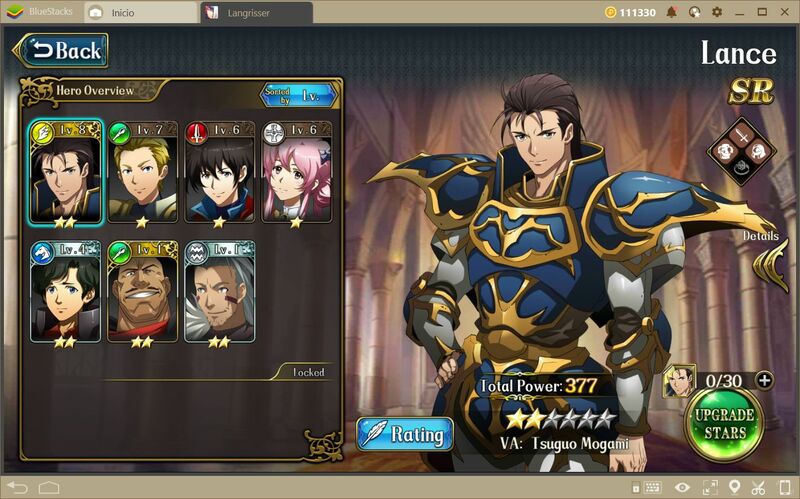 In this sense, it’s necessary to analyze the skills and talents of every new unit that you unlock to gauge their potential utility in your team. 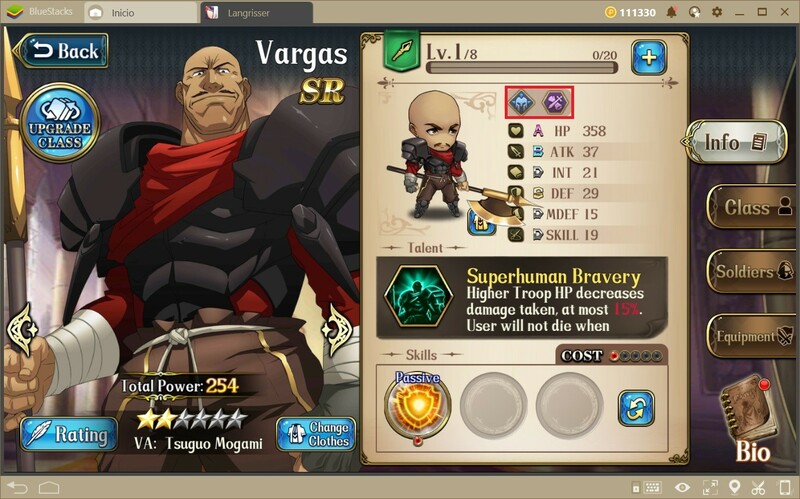 In order to receive the best performance from each of your units, you must take into consideration the synergy between the different factions in the game. Each unit belongs to one or two factions that define their loyalty within Langrisser’s narrative. It’s easy to ignore these factions, especially in the beginning, given that the synergy bonuses they confer only become relevant later on in the game. When a unit reaches level 35, they may learn a passive skill that confers benefits to any other character that belongs to the same faction. These bonuses are massive and will be the key to completing the most difficult levels in the game. 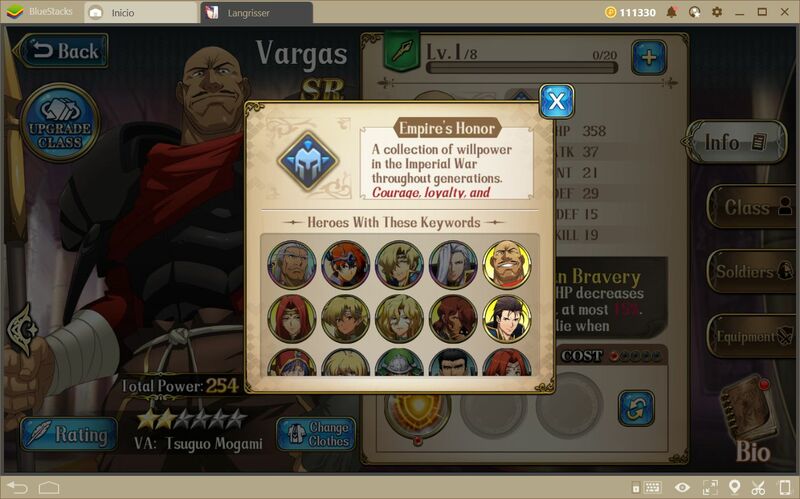 You may consult the faction of each character in the Hero menu by clicking on the symbols that are located above the attributes of each character. As we mentioned before, it’s not necessary to pay attention to the factions from the beginning, but it’s important that you understand their implications and, what’s more, work obtain a team with positive synergy. When it comes to role synergy, your team composition will usually vary from mission to mission, as well as from the specific scenario you’re trying to challenge. The latter is important because, if you don’t choose the correct units for the terrain of the scenario, you will have problems moving around and positioning your units throughout the stage, and could find yourself surrounded by the enemy before getting a chance to cover your most fragile units. Nevertheless, we recommend that you add at least one tank and one healer to your team. The other units may consist of different types of DPS, including a flier. However, if there are many archers on the opposing team, we recommend that you bench the flier and deploy more melee units. This will be your general-purpose team, which you’ll use on most occasions, except for those that require a different composition. These strategies are enough to help you progress from the beginning, up until you reach level 35. Once you reach this milestone, you will need to modify your strategy to include faction synergies, and prepare for the ensuing difficulty spike. 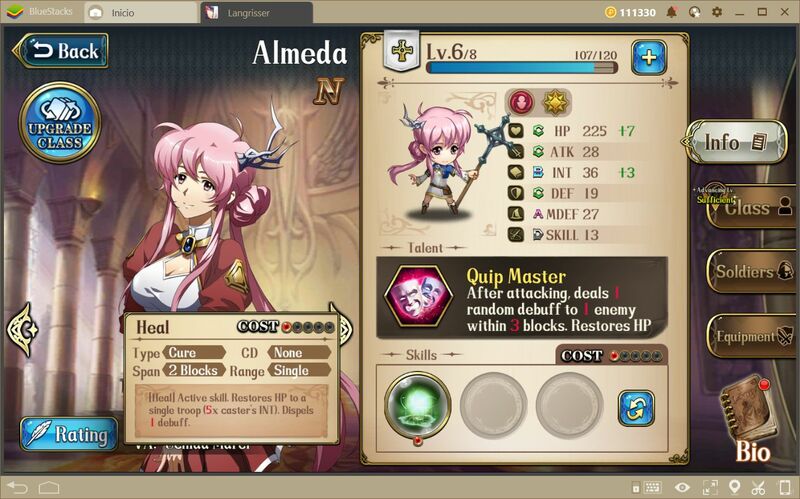 However, as we mentioned before, it’s important that you begin to collect the strongest units from day one so that you have more options to tinker with once you reach the advanced stages of the game. To this end, every time you want to perform a summoning, we suggest always going for the bulk summoning—which requires 10 Trinity Vouchers—as you’re guaranteed at least 1 SR hero. 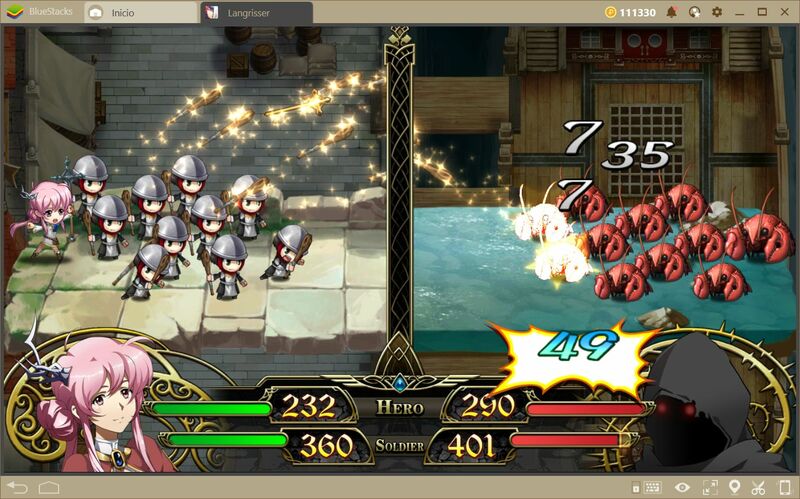 It’s a lot of fun to experiment with different setups in Langrisser. However, collecting the necessary materials to summon new heroes is a long and arduous process, which can sometimes become tedious since you’ll be repeating the same stages over and over. 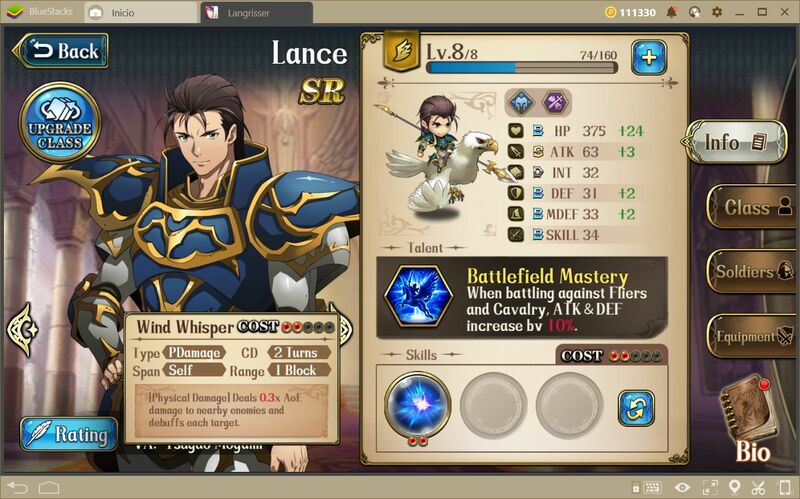 If you want to skip the boredom, we recommend that you read our BlueStacks usage guide for Langrisser, in which you will find some awesome tips and tricks to improve your gameplay experience. While you’re at it, consider browsing our blog to discover the best tips and tricks on this amazing game. Catch you on battlefield!